On September 11th, I completed my fifth round of Beachbody, LLC 90 day workout regimens. My first round started in January 2011 and was straight P90X Classic. My second, third and fourth rounds blended the Insanity workout into the P90X schedule to amp up the cardio and plyometric routines. Throughout this effort, I was progressing well and was happy with my results. But two-thirds of the way through the fourth round, my exertions from six day/week workouts, tennis and hiking were combining to take a toll. I injured my knee in the midst of an Insanity routine. I muddled along, as best I could, modifying most of the plyometric activity in my workouts, and finished Round 4, still with good results. Yet my injury dictated that something needed to change. I took a month off and focused on rest and rehab to nurse the knee back. I knew that if I was going to continue with these intense programs, I needed to cut back and re-focus my efforts. Earlier this year, in a moment of weakness, I purchased P90X-2. After reading through the accompanying literature, I decided that the focus on core and stability sounded consistent with my goal to recover my knee and further enhance athletic performance. So for this fifth round, I embraced P90X-2 as my instrument of torture for the next 90 days. And I’m glad I did. 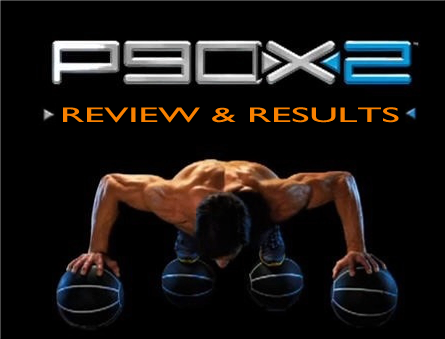 P90X-2 incorporates a three phase progression of routines which compliment and build upon the results gained from the prior phases. There is also Recovery Week routine that you schedule whenever you need it. The first phase is called the Foundation Phase. It focuses heavily on core development. I was surprised how weak my core was after having completed four rounds of P90X and Insanity. Well, maybe “weak” is overstating the shortfall. Let’s just say I wasn’t yet up to the demands required of me in this Foundation phase. The accompanying literature recommends investing 3 to 6 weeks in this first Phase. That’s one of the big differences between X2 and P90X. With X2 you’re afforded more flexibility in adapting your schedule to meet your needs. After having finished three weeks, I felt I still had room for improvement and tacked on a fourth week. The second phase is called the Strength Phase. These routines have more in common with the rigors of P90X, but most of the moves are performed to build further core strength and stability in the process. You do things like stand on one leg when doing curls and so forth. Consequently, the weights used need to be lighter, but the results are good for overall fitness and athletic performance. Beachbody recommends three to six weeks spent here. I did five weeks. The third phase is the Performance Phase. Here you alternate each exercise between resistance moves and plyometric moves. It’s called Post Activation Potentiation (P.A.P.) and it seems there’s some science behind it. Here Beachbody recommends three to four weeks. I did three. I also inserted a modified recovery week after the first phase (but didn’t count this in my 90 days) and a regular recovery week for the final 6 days of this Round. The P90X-2 Package includes a comprehensive Nutrition Guide. I read through it, but didn’t use it because my nutrition an caloric intake is good enough. I’m 6 feet tall and have been a steady 150 pounds since Round 3. I also didn’t indulge in any supplements such as Shakeology, other than an occasional protein shake and low fat chocolate milk after each workout. I do take a daily multivitamin, omega 3 fish oil and glucosamine and chondroitin. I take a “neutral” position on whether these yield any benefits. They don’t seem to hurt. Set of 5 Source Premium Latex Resistance Exercise Bands Tubes Cords w/ Door Anchor and Exercise Manual. Iron Gym Total Upper Body Workout Bar – Extreme Edition, modified to fit my thick door frames. I also used a broom, instead of a weighted bar. You don’t have a broom? That’s weird. Overall, I think the P90X-2 routine was the right fit for me given where I am in this process. The focus on core strength and stability, I believe, helped me recover from my knee injury. I also feel it complements athletic performance. P90X and Insanity are great programs. Boot camps, in a way. They break you down and build you up. Both physically and mentally. But it’s very hard to also layer on other activities such as singles tennis and backpacking. I really had to manage my schedule to ensure I planned those activities around yoga or recovery days. And still, while performance was good and improving, something was always aching or slightly tweaked from the demands of those programs. Using my heart rate monitor to track each routine and using the resulting calories reported, we see that as compared to the P90X/Insanity Hybrid, the average duration of the routines was 6 minutes (or 9%) less. Average calories burned per routine was 25% less (495 for P90X-2 vs. 660 for the Hybrid). On a weekly basis, I burned just under 3,000 calories with X2 versus nearly 4,000 with the hybrid. Over the course of 90 days, this results in a big difference in cumulative calorie burn. And at 3,500 calories/pound, a 4.1 pound burn decrease with X2. Intensity is also less demanding. With X2, my burn rate was 18% less at 7.7 calories/minute versus 9.4 with the Hybrid. None of this is bad. It’s just a question of what you want to accomplish. For me, that “extra energy” was used to facilitate recovery. I think X2 is also great for maintaining strength and enhancing athletic performance. But if your goal is weight loss and dramatic change, P90X or a Hybrid may be right for you. Just be aware that there are potentially diminishing returns, over time, from this rigorous approach. I recommend monitoring your body and modifying, as needed to avoid injury. That can be tough to do. Learning how to interpret “I don’t feel like working out today” is a tricky thing. Is it laziness? Or is it a legitimate request from your body? Initially, I attributed it to laziness. Now, having successfully completed five rounds and forced to work through an over-use injury, I give myself the benefit of the doubt and take an extra rest day, as needed. I’m not going to get into the details of each P90X-2 routine here. There’s plenty of minutiae in this blog and elsewhere. What about the Pull Ups? Didn’t you say that when you started P90X you couldn’t do even a single pull up? It’s true. And when you finished your fourth round, you could do nearly 1,000 pull ups? Not quite. But I was happy with the gains. Well, with X2, I have to say I was happy to be relieved of my self-imposed pressure to continually log pull up gains. I pretty much just did the recommended amount for each type in each routine. I logged the results. And, yes, over the course of the 90 days, the pull up numbers increased. But that wasn’t the objective. And the increase isn’t interesting because I began the 90 days with reps below my ability to conform to the recommended reps in the routines. So it was almost kind of fun (and liberating) to do pull ups and still have gas in the tank to focus on the other moves in the routines. Because of this, I’m not posting any pull up progress charts in this review. What’s the Deal on the Foam Roller? Yeah. I was definitely skeptical about the whole foam roller thing. I was suspicious it was a cynical attempt to sell more gear to Beachbody cult members like me. But I have to say I noticed the effects. Together with yoga, I now also foam roll prior to playing tennis. I’m taking a couple of weeks off and then I plan to spend 4Q12 with another round of P90X-2. No, I haven’t given up on P90X or Insanity. I intend to re-visit those bad boys at the appropriate time. I just know I have more improvements to log with the X2 offering. I’ve got a bunch of tennis to play as well and I don’t want to impair that effort. This entry was posted in P90X2, Round 5 and tagged Calories, Exercise Equipment, Heart Rate, P90X, P90X-Insanity Hybrid, P90X2, results, Review, Reviews, Tonyisms. Bookmark the permalink. Your reports are still perfects, Albert! Anyway, your blog is really precious in finding the right program and knowing what is coming … Uhu … in fact I was warned: if I had read this (https://bodamerblog.wordpress.com/2011/06/01/p90x-insanity-hybrid-day-25-pure-cardio-abs-review/) before, maybe now I was playing some Jane Fonda VHS! I as usual enjoyed your analysis of your round. Love the charts! Your feedback on such programs is a plus for anyone who is on the fence to doing this routine, heck just from reading you got me wanting to do it again. Plus I think that it would it be good for my hubby’s recovery! Steffie, sorry for the delayed response. I was away on vacation. Thanks for your support and kind words. And best to your husband and his recovery progress.